15 May 2018 / 17:34 H.
PETALING JAYA: Umno's biggest mistake in the run-up to the 14th General Election was its failure to acknowledge that the grassroots had rejected the party, said its Youth chief Khairy Jamaluddin. "What happened was we became delusional; we got drunk on our own Kool-Aid and we got carried away. "We didn't want to bell the cat. Nobody, after former deputy Tan Sri Muhyiddin Yassin was purged, after Datuk Seri Shafie was purged … Nobody wanted to acknowledge we had a problem. That was a terrible mistake on our part," he told Channel News Asia yesterday. "Was there a signal? Yes, there were clear signals but we became oblivious to the signals," Khairy said. "This must not happen again, we must not ever allow Umno leaders to be detached from reality and not ask tough questions. If we continue with our feudal mindset of protecting the leader from the truth, Umno will go extinct," he said. Khairy said the loss was a collective responsibility while at the same time blaming Najib's leadership for BN's disastrous showing. "We cannot make the same mistake again," Khairy said. "It was a systemic rejection of what we stand for and if we can accept that, then we can start to rebuild this party," he added. Khairy said there were four things Umno and BN would have to do in the next year or two in order to offer itself as a "credible alternative" to the PH government within five years. "We should seriously consider all options. What model do we want? United Malays National Organisation or United Malaysian National Organisation? What is our DNA, what is our reason d'être? "These questions need to be asked; we should not be fixed in what model we take. 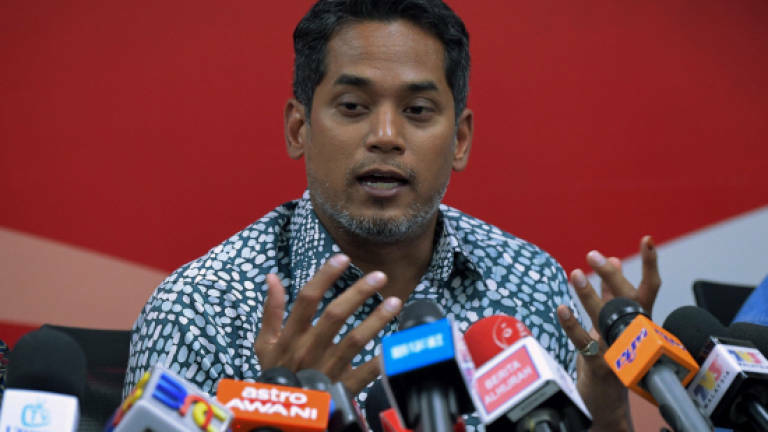 Everything is on the table," Khairy said.